Method:Wash the rice with water and drain it in a strainer and keep it aside till dry. Heat ghee in a deep bottom pan, add bay leaf, cinnamon, clove, cardamom and pepper corns. Sauté for 2-3 minutes. Add rice and sauté well. When the rice starts cracking, add 7 cups water, salt and lemon juice. Close the lid and cook till the rice is 3/4 done. Method:Soak cashew nut in 1 tbsp water and make a smooth paste. Grind giner, garlic and green chilli and keep it aside. Heat oil in a pan, add ginger-garlic-green chilli paste. When it turns golden color add onion saute till it becomes translucent. Add tomatoes and fry them till the oil appears on the top. Add red chilli powder, coriander powder, pepper powder, turmeric powder, fennel seed powder and biryani masala. Sauté well. When the raw smell goes add mutton pieces and mix well. Cover and cook for 05-10 minutes. Add cashew nut paste. Cook for another 15-20 minutes. Add yogurt. Cook until the gravy starts thickening. Add Mint leaves. Heat 2 tbsp ghee In a pan, fry the raisins and cashew sepeartely. Drain and keep it aside. In the same pan add thinly sliced onions and 1/2 tbsp sugar, fry till it become golden brown color and keep it aside. Dissolve saffron in 1/2 tbsp warm milk and keep it aside. Take a deep bottom pan and grease it with 1/2 tbsp ghee and spread rice in the bottom. Add mutton along with gravy. Add one layer cooked rice. Add onion, cashew nut, raisin, followed by rice. Repeat the process until the ingredients finished. 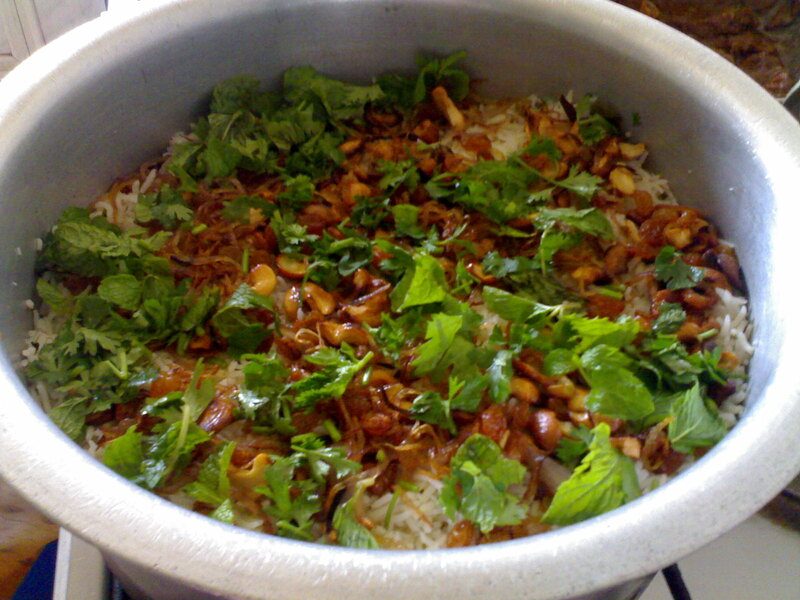 The top layer should be rice and decorate the top with fried onions , raisin, cashew , saffron and pinapple essence. Seal the lid with maida dough, heat a dosa pan/flat bottomed skillet on high heat till the pan is hot. Once hot reduce the flame to low and place the rice vessel on the tawa. Then put a heavy water vessel on the top of lid and cook for 20-25 minutes on low flame. Turn off the flame and keep for another 10-15 minutes. Serve hot with pappadom, curd salad and lemon pickle. Omg, lipsmacking mutton briyani, cant take my eyes from the click..pic itself makes me hungry..
Looks delicious... Love to have this any time..
Jaisy, thanks for visiting my blog. Khoya (Mawa) is not milk powder but it is reduced milk. Please click on the link in my recipe (khoya word is linked) for more information. First time here, enjoying your beautiful spread..biriyani looks really very nice.. Mouth watering biriyani!! 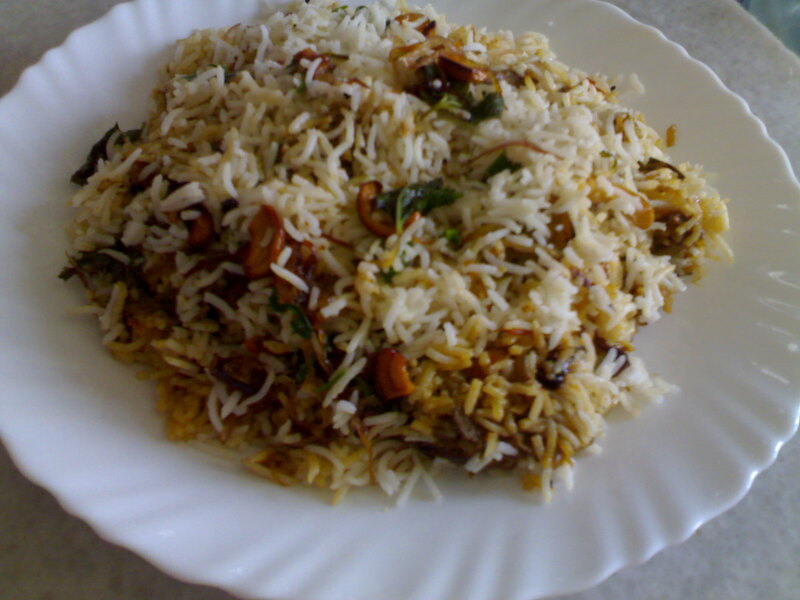 Biriyani is my most favorite dish..We too have a biriyani post coming up soon..